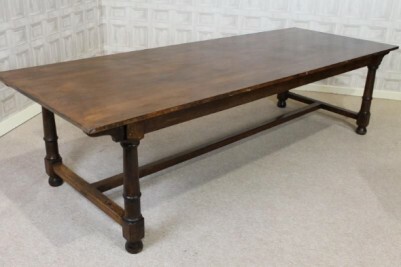 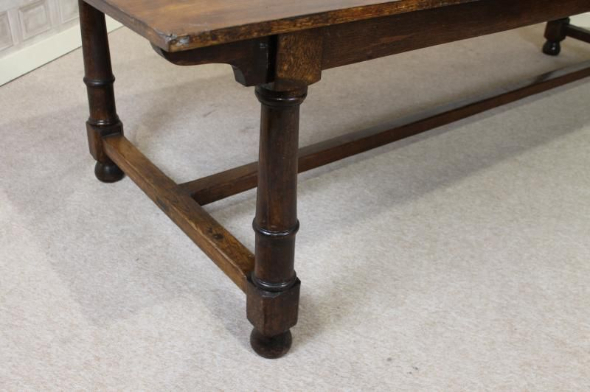 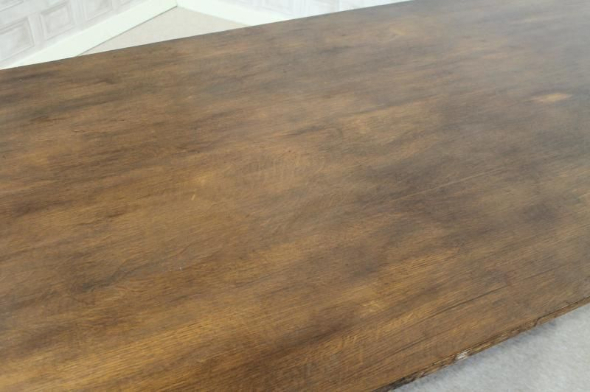 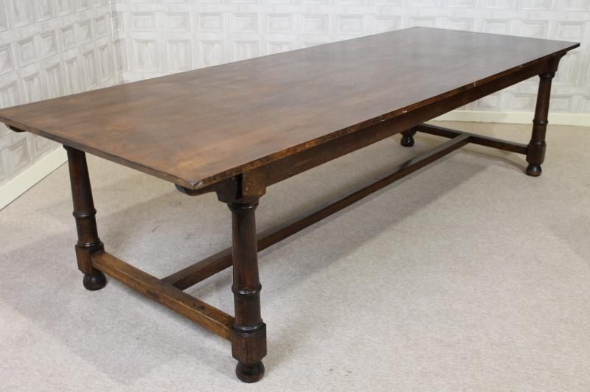 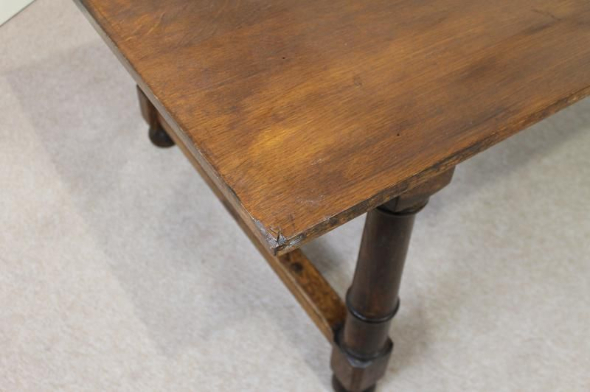 A magnificent circa 1920s solid oak refectory dining table. 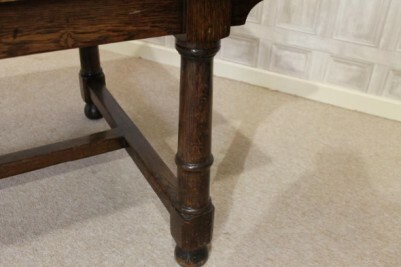 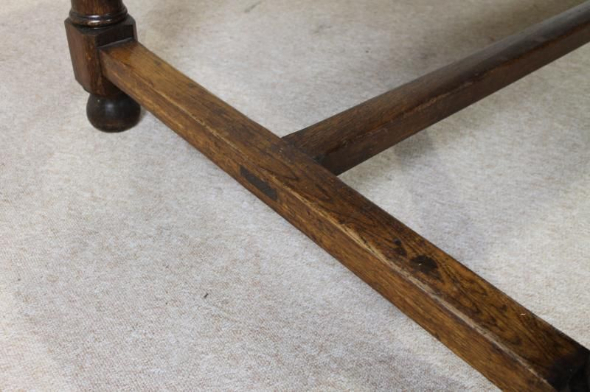 The table is in a mid to dark polish finish, has four large gun barrel legs and an H stretcher to the base. 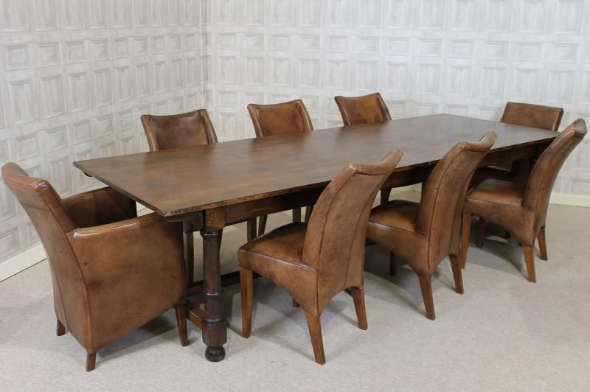 We have pictured this table with our vintage style leather chairs which aren't included in this price, but can be purchased separately. As you can see, this table can comfortably seat from eight to ten people; an ideal table for any large family gathering. 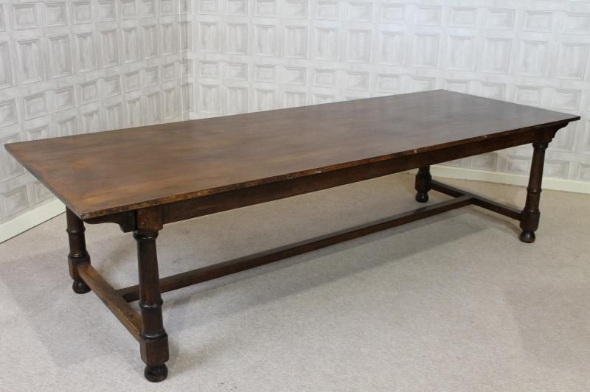 A lovely solid oak refectory dining table ideal for any period or contemporary interior. 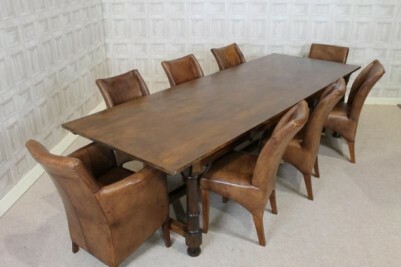 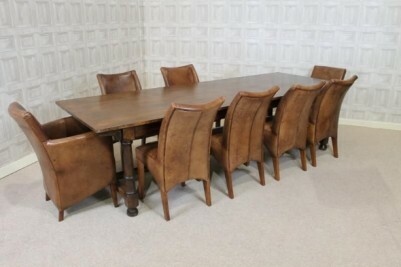 We stock a wide range of dining chairs that would complement this solid oak refectory dining table beautifully. 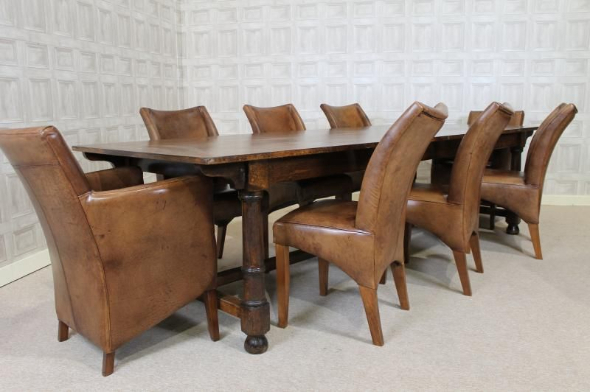 Please contact us on 01543 375872 if you require any further information. Alternatively please see our other listings.